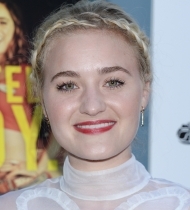 On July, 21st 2018, AJ Michalka attended the premiere of the movie Support The Girls, in which she played Krista, in Los Angeles, California. We have added a bunch of photos of Amanda and STG‘s cast from this appearance. Hope you enjoy it.